Each business producing goods or services strives to increase sales. There are different techniques of sales boost, all of them aimed either at selling more products per customer or attracting more customers. When a technique can achieve both goals, it is even better. Naturally, sales experts are looking at the technology innovations trying to use their advantages to boost sales. Today, we will see how the use of augmented reality can increase the sales for retail businesses. What does augmented reality (AR) do? It adds something to our reality, something that is not there. AR apps allow watching the world through your device camera and see artificial things that are inserted in the real environment. Greater sense of connection and ownership. When you see an item in a catalog, it is still distant and unrelated. However, when you see the same item in your home interior, you can immediately see whether it fits or not, and if it does, you already think of owning it. The effect is the same as you get when trying on garments in a store. When it is hanging on a rack or displayed on a screen, it is not “yours”. When you put it on and see how it shapes your body, feel the texture and test the comfort, you start thinking of having it. However, augmented reality brings the trying-on experience directly to your home with no need of traveling to a store. Just look through your camera and see whether the vase color is OK for your bedroom interior or whether the cabinet matches your other furniture. Higher sense of control. In an augmented reality app, the user is in control of the process – they can virtually hold the item, move it, change its color, place it or put it on. This increases the feeling of making a grounded choice, of being on top of the situation. The interactivity that augmented reality provides gives the user a more comfortable feeling of controlling the purchase from the beginning to the completion. Completeness of product information. In an online store equipped with augmented reality, the user not only sees the product in its intended environment but can immediately get lots of other information, such as available colors, caring instructions, matching items, delivery conditions. In other words, augmented reality combines the convenience of online shopping with the service available from store assistants. It adds to the user’s feeling of making a “reasonable” purchase. Higher sense of security. When shopping online, we often refrain from completing the purchase for the fear that the item will not fit. Its color may be different, its shape may be not the one that you saw on the screen, you may simply not like it when it finally arrives. Then you need to start a return procedure that may be difficult and time-consuming. 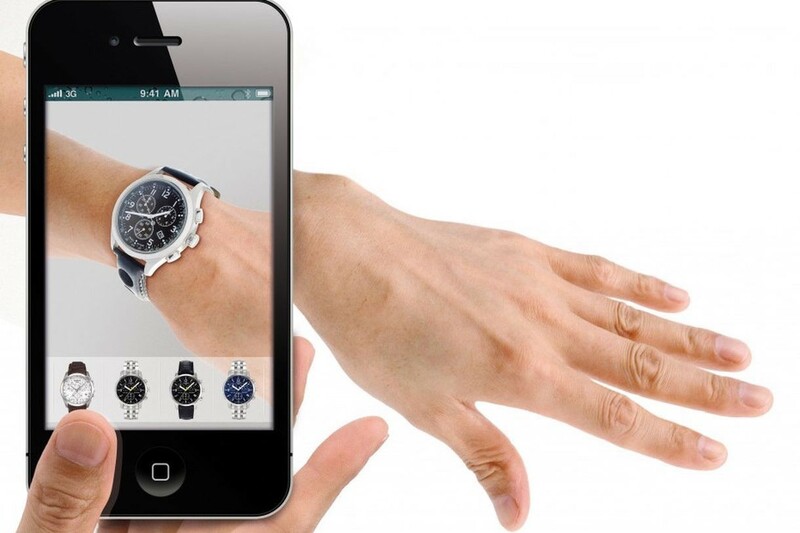 Many people want to “touch” the product before buying it, and here augmented reality comes as close as possible to the desired effect without the actual visit to a store. By trying or placing the item virtually, you reduce the possibility of “not liking” it. Thus your sense of security is much higher. Peer support. We do not like to shop alone. This especially concerns shopping for clothes where the opinion of a friend is often priceless. When you shop online, you cannot virtually “step out” of a fitting room with a “well, what do you think?” Or you can if you are browsing an AR-enhanced application. Put on the dress or apply the makeup to your photo, make a screenshot and share it with friends with the same “what do you think?” Just like going on a shopping spree together. Increased user conversion. When the user is experiencing the security and connection with the item they are shopping for, the probability of completing the purchase is much higher. By trying on the item virtually, the customer puts the imaginary “green checkmarks” – saw it, turned it around, tried it, tried it in a different color. This leaves no counter-arguments to purchase. Higher user attraction rate. After a positive experience in an online store, a user often feels inclined to share it. We already mentioned the advantages of sharing the intended purchase with others. In addition to raising the user’s confidence, this is viral marketing at work when users promote your business by own means. Just make sure you implement a convenient sharing option including various channels, such as social networks or messengers. Reduced return rate. Obviously, for businesses product returns are much more painful than for users – they lose the sale and at the same time get an unhappy customer. However, for fairness sake, some returns can be converted into sales opportunities, but usually, the businesses try to keep the number of returns as low as possible. With augmented reality allowing the user to make a well-informed choice as possible, the probability of a return reduces significantly. International presence. This point goes for any online store, as ecommerce allows shopping from any place on the globe at any time with no language barrier whatsoever. However, augmented reality in retail adds the possibility of experiencing the product before the purchase that can become a pro argument when an international delivery is involved. The inability to experience the product before purchase is often the factor that blocks international purchases. You are buying a “pig in a poke” with the high probability of returning it to the seller. Here, augmented reality can do the trick. Cost savings by reducing the number of offline stores. 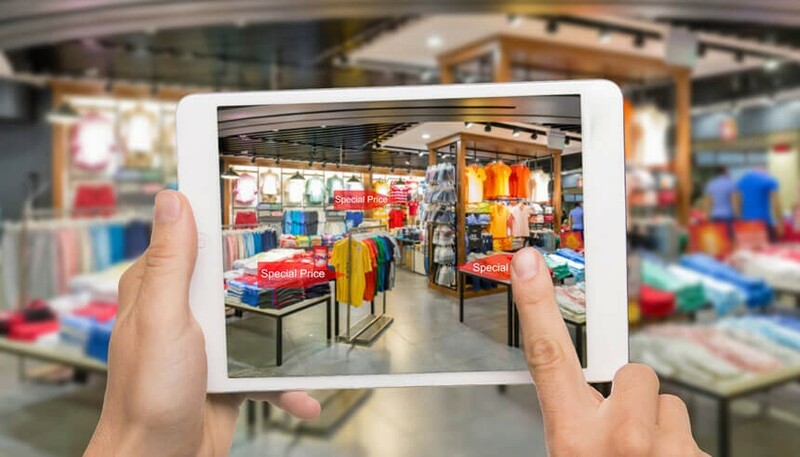 By moving the commerce business online and enhancing it with technological innovations, such as AR, the company can eventually revise its brick-and-mortar network. By closing the stores that do not perform as expected, the business can reduce the overall operating costs and invest more in other areas, such as adding more features to its app. Creating better user experiences in offline stores. You can leverage the augmented reality benefits even in offline stores. For example, your AR-based app can immediately show the visiting customer for which item you have a special price right now. Just add the corresponding markers to be displayed on the smartphone screen when the user scans the store. The customers are going to appreciate it, and this innovation can have a positive effect on the conversion rate. Better presentation opportunities. If you are exploring B2B opportunities and looking for partners for your commerce business, you can bring your whole stock with you in a mobile app. You will be able to show your products in real environments for your partners to immediately see their value. Your potential partners can feel the same effects as your customers do by virtually moving, turning and trying on your products. Wider selection opportunities. If you are offering services, such as interior or furniture design, use augmented reality to discuss the possible options with the customer. Through augmented reality, your customer will see their homes in several designs that make a choice easier. If you recreate the entire design in AR before you actually start working, you reduce the number of possible corrections and remakes. This way, you increase both your revenue and your customer’s satisfaction. 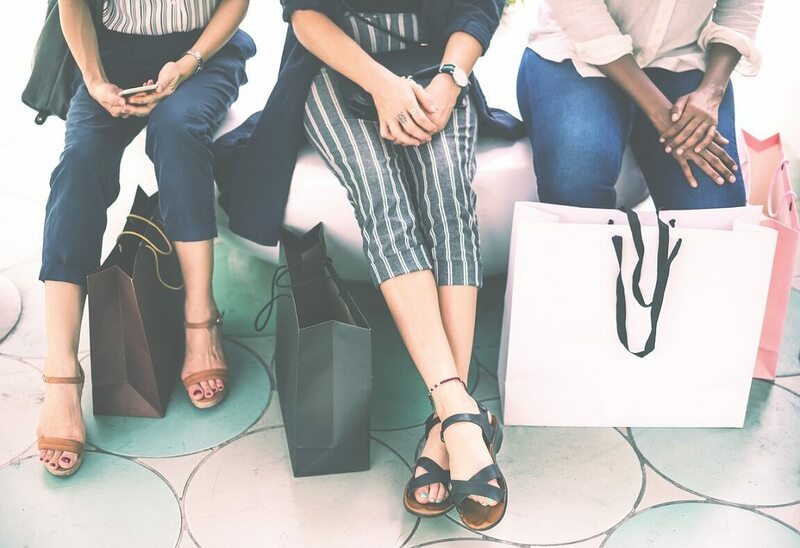 The statistics say that augmented reality in retail will attract 61% of the customers who would rather visit a store that offers an augmented reality experience than the one that does not. 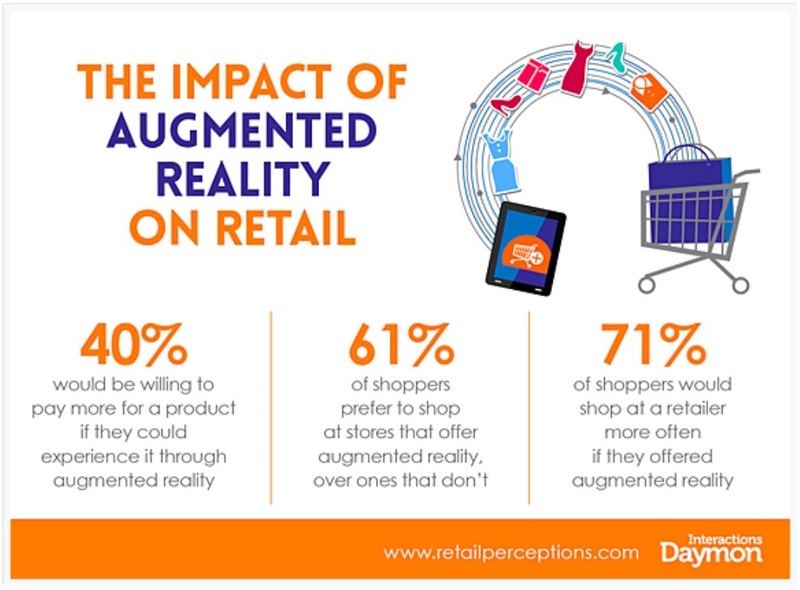 The same source says that 71% of the customers will return to the store more often if the store offered AR features. And the most convincing fact is that 40% of the customers are even prepared to pay more for a product that they can experience with the help of augmented reality. See also: How Much Does an Augmented Reality App Development Cost in 2018? Sounds rather impressive, doesn’t it? These statistics mean that implementing an augmented reality application can effectively boost your retail sales, and quite significantly, too. The effect is due to a unique experience that the users get and then share with others. Augmented reality can enhance virtually any customer-facing business, as it is much wider than virtual try-ons. You can use AR apps to display product information or promotional materials, include it into an ecommerce app or implement it in a messenger-based chatbot for additional presence. Augmented reality gives new unparalleled opportunities that are limited only by your imagination. We definitely recommend considering an augmented reality component for most of the retail businesses, and we will be glad to discuss the specifics of your project with you. Browse our AR portfolio to see the projects we successfully completed. We can work out the AR concept that will showcase your product and result in your sales increase. Contact us for a detailed consultation or project estimation.